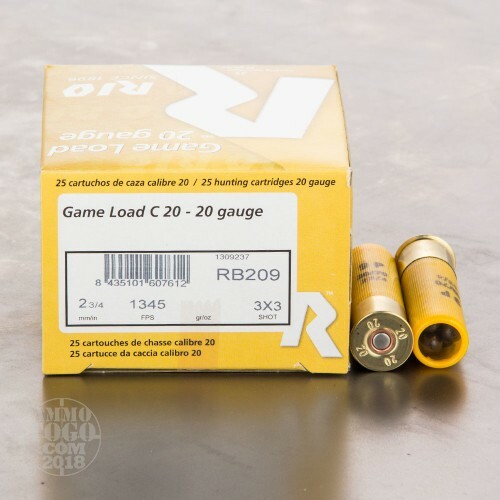 This is 20 Gauge Rio Royal 2 3/4" 9 pellet #1 Buckshot Ammo. 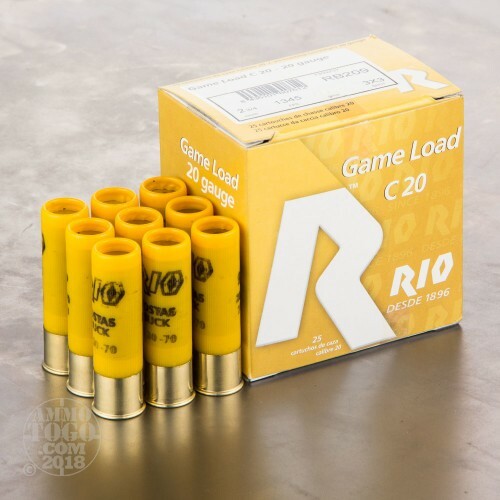 This ammo is manufactured by Rio Ammo, the largest shotshell manufacturer in the world. This ammo has amazingly tight patterns. This is some excellent buckshot. This ammo comes packed in 25rd. boxes. Good Stuff. I used it in my Asylum Weaponry (think Shockwave). 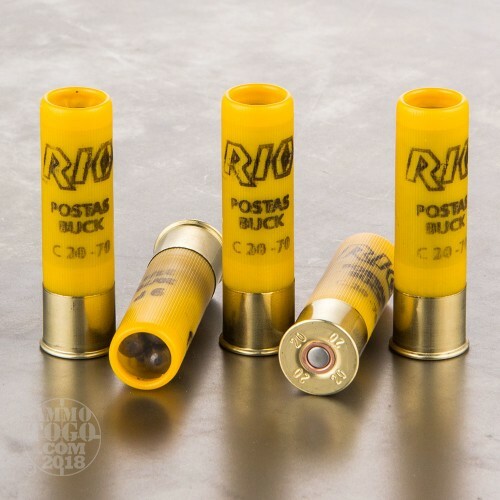 Though as mentioned it is a bit longer then most 20 gauge buckshot, I was still able to fit 5 in the tube easily. Shot patterns at 12 yards were slightly tighter and with less flyers than either of my go to loads, the Remington #3 and the Federal PD #4. Pleasantly surprised at this. Shell construction was consistant and there were no failures to fire. I will be buying more. shoots nicely out of my Ithaca m37 defense shotgun. no reliability issues whatsoever, slighty longer hull due to the crimp, a little tight fit for the final round into the mag....tight groups however and appears to be a good choice for practice or carry. ATG Note: Thanks for the heads up, we fixed the listing to #1 Buck.